The FortiGate/FortiWiFi 30E-3G4G sports an embedded wireless WAN module for 3G/4G mobile data applications. The advanced FortiOS software on the FortiGate facilitates rapid failover from the wired connection to the 3G/4G LTE Wireless WAN connection in the event of a wired failure. 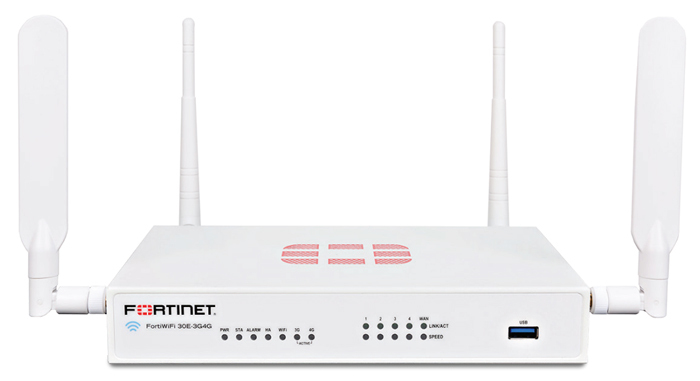 The FortiGate/FortiWiFi 30E series offers beyond the industry's best firewall with the latest in Advanced Threat Protection including Sandboxing and anti-bot protection, Feature Select Options for simplifying configurations and deployments, and Contextual Visibility for enhanced reporting and management. The FortiGate/FortiWiFi 30E-3G4G includes built-in 3G/4G modem that allows additional WAN connectivity or a redundant link for maximum reliability. 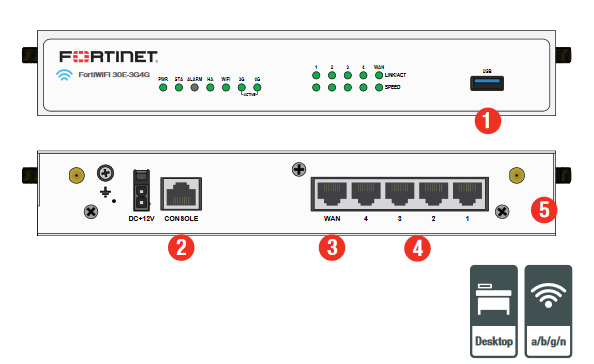 Download the Fortinet FortiGate/FortiWiFi 30E-3G4G Data Sheet (PDF).